First of all I'd like to wish all of you a Happy New Year! Might it be filled with loads of fantastic music! Unfortunately the Deutsche Post seems not interested in supporting the never ending desire of music junkies and raised the prices for shipping. That's a bummer! 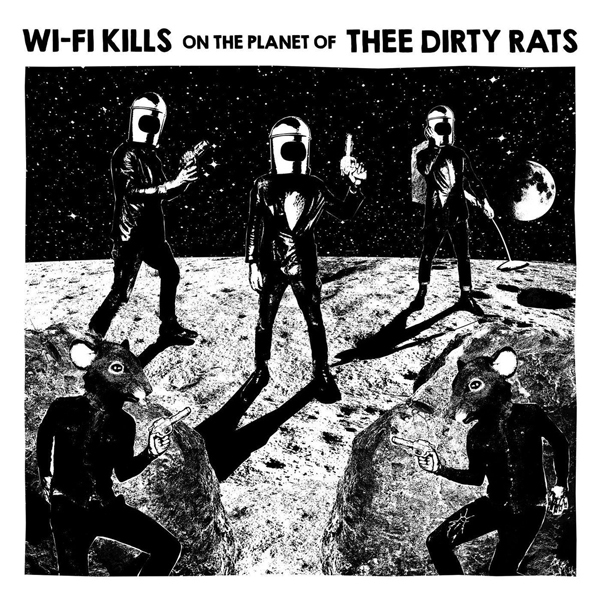 Wi-Fi Kills / Thee Dirty Rats Split - Wi-Fi Kills On The Planet Of Thee Dirty Rats 7inch. 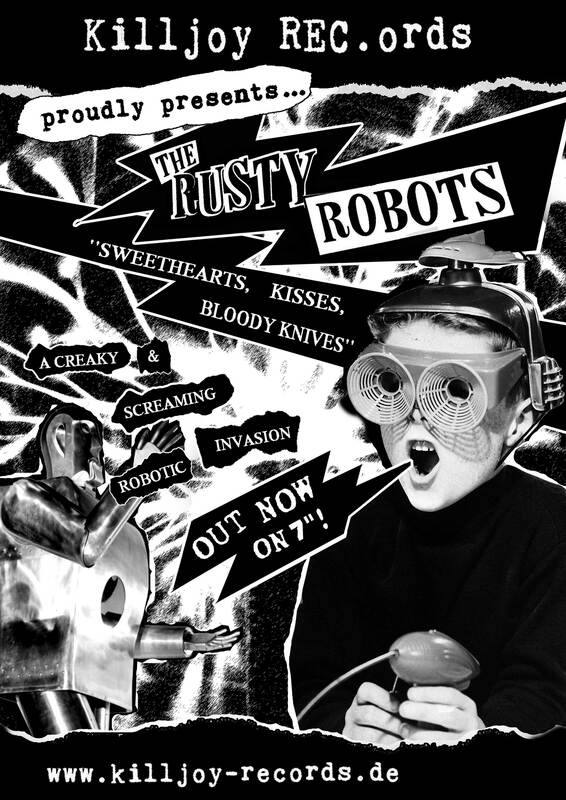 10/17/2018 - Rusty Robots - Sweethearts, Kisses, Bloody Knives 7inch out now! Get the newest Killjoy release! 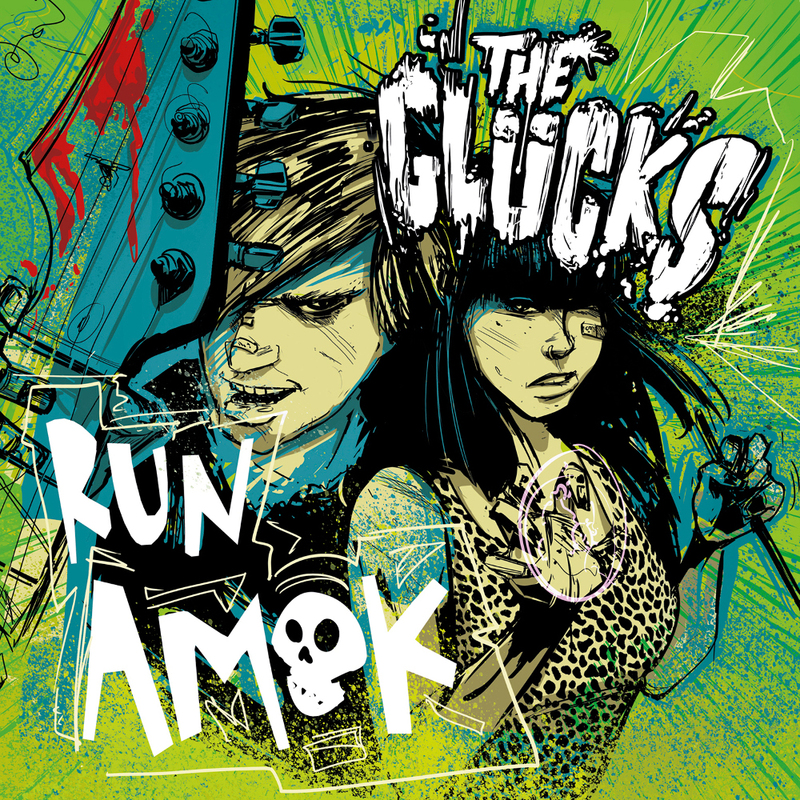 50 yellow copies (Killjoy Records Edition) and 450 black copies were pressed. Since today they are officially available! Three old-school psycho songs of these three psychos in a manner beyond compare! 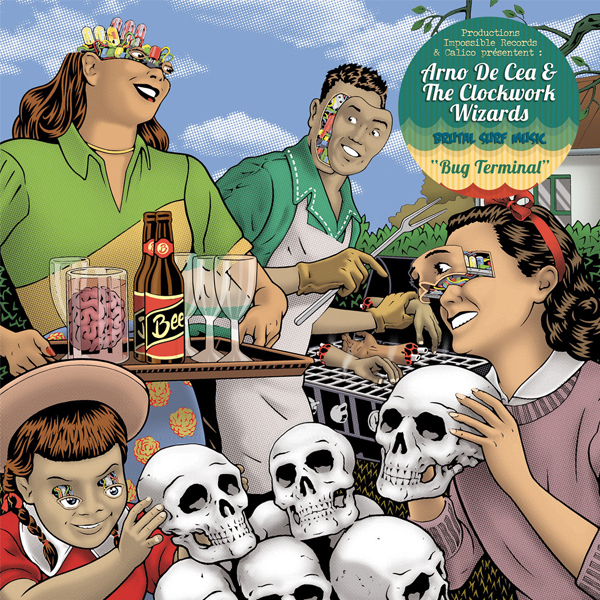 Furthermore I've added some more records from other cool labels to the webshop including a lot of stuff from Monster Mash Records, The Spacebugs, Gene Crazed, The Monstrosities and much more!!! Check it out and tell your friends!!! 07/28/2018 - Some informations about the label and the Spectre - Spectre 7inch! Some of you might have noticed that it became a little quiet around Killjoy Records. I needed some time to sort things out after Flatty left the label for personal reasons a few months ago. I'm still in the middle of this restrucutring process. So please don't worry if things sometimes take a bit longer than expected. Killjoy Records will continue! 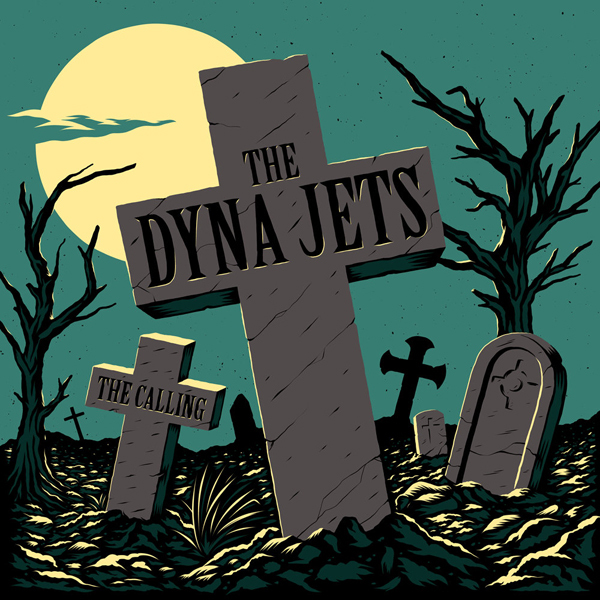 There are some cool releases in sight you shouldn't miss and rockin' new records are going to be added to the webshop, too! 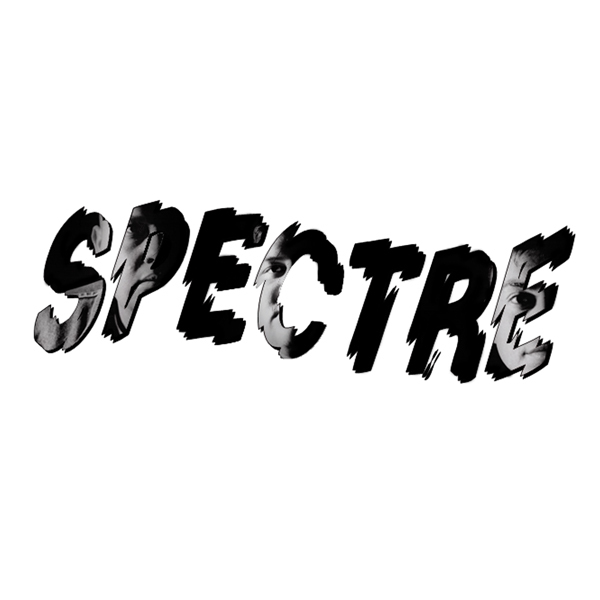 For the moment you should check out the debut record of Spectre from L.A. - blasting Oldschool Psycho stuff! There's a grey Killjoy Records edition (limited to 50 copies) and a clear/black band edition (also limited to 50 copies; only available from the band) besides the regular black copies. The pre-order just started today! Please note that I'm out of town until 07/15/2018. Incoming orders will be processed from 07/16/2018. 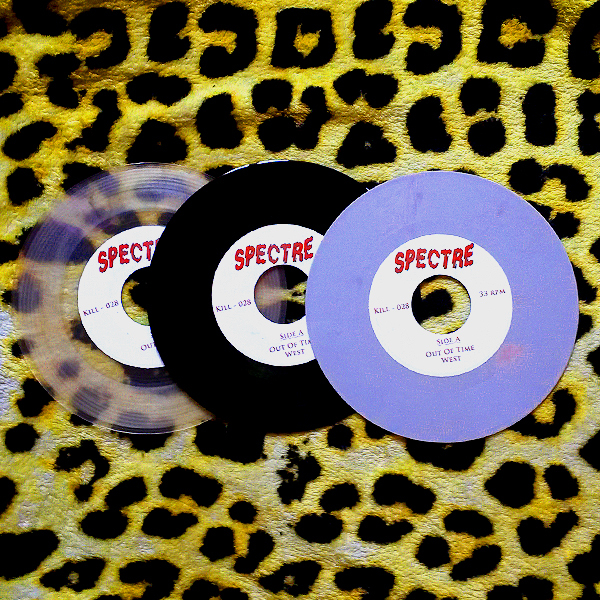 After this little break you can look forward to some new records in the shop and the new Spectre - Spectre 7"! 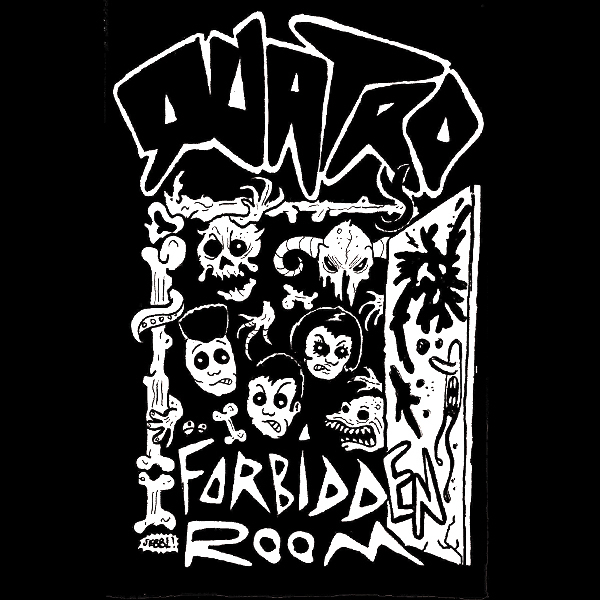 05/25/2018 - Quatro - Forbidden Room MC! The pre-order for the Forbidden Room MC of the Mexican trio Quatro just started today. 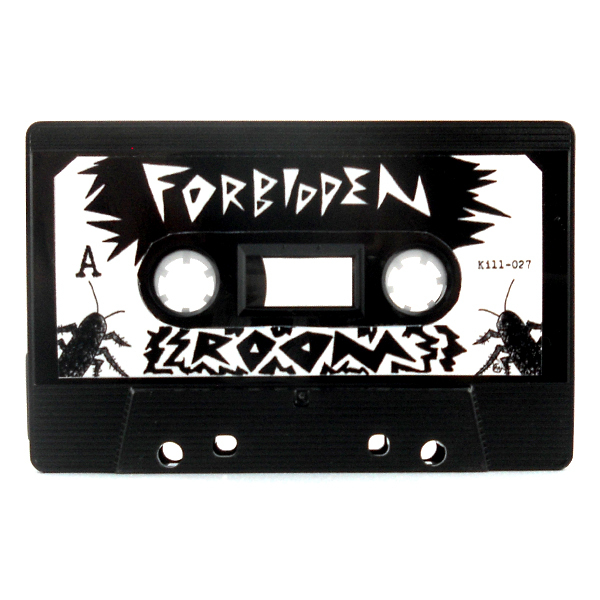 Eight Oldschool Psychobilly tracks are waiting to get blown through your tape deck! The first 100 copies come with an exclusive guitar pick. ...that let the needle of your record player smoulder! 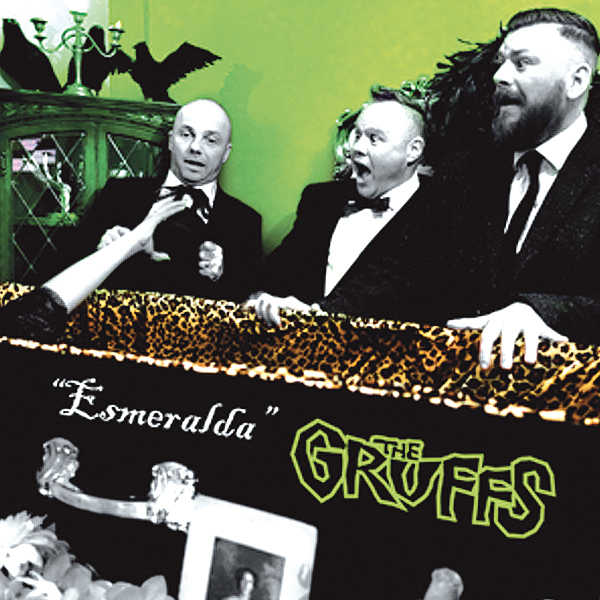 The KDV Deviators - Me And Mr. Hyde 7"
The Test Pilots - Urban Mirage 10"
The Gruffs - Esmeralda 7"
Furthermore the Adios Pantalones - Playtime LP is back in stock! 04/26/2018 - Surf, Surf, Surf! 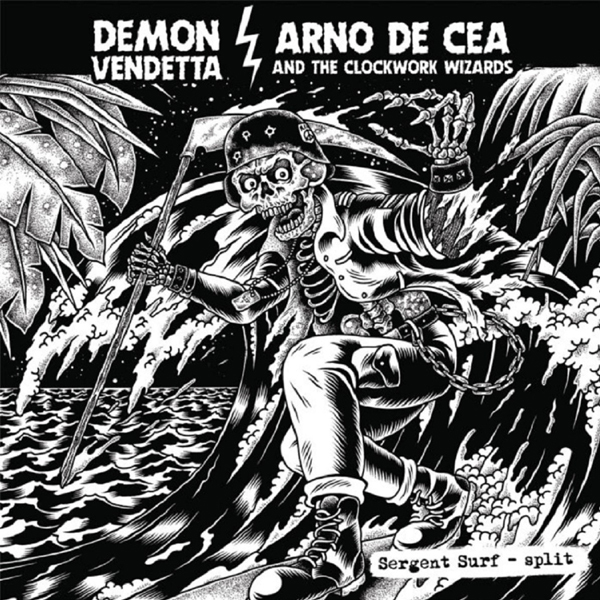 Now there are all releases of Surf legends Arno De Cea & The Clockwork Wizards available in the Killjoy shop. 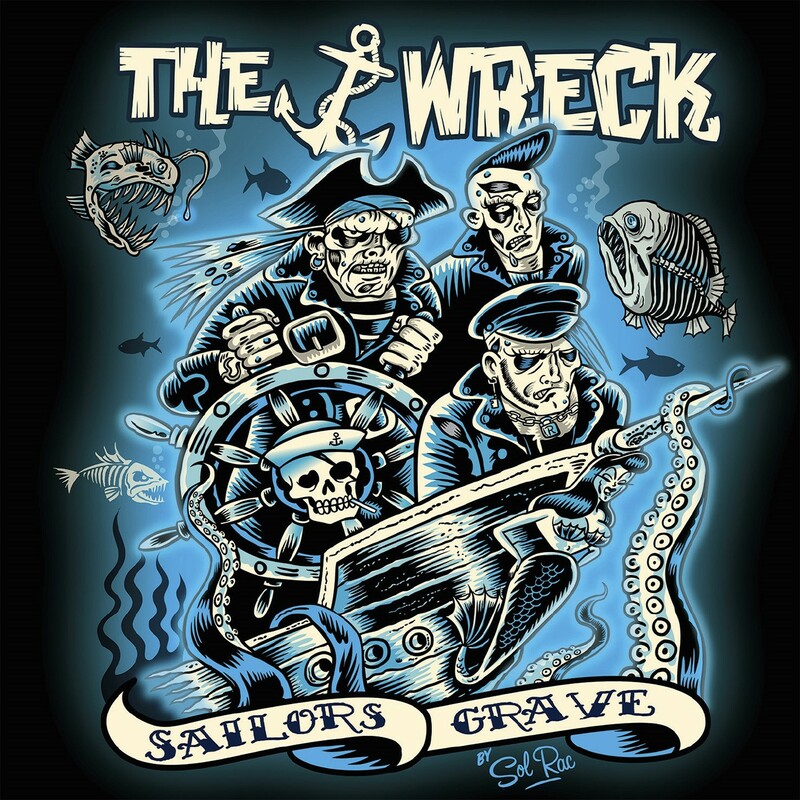 the newer the release the more the brutality factor grows in their music! 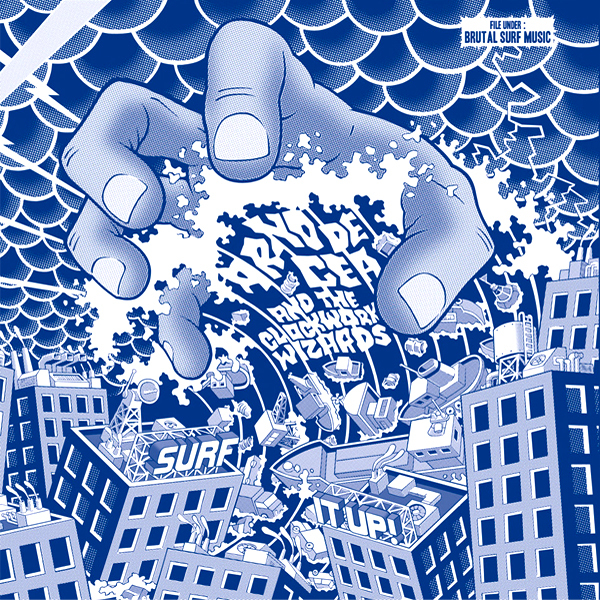 Sergent Surf (Split with Demon Vendetta) MC/10"
01/24/2018 - A toxic release! 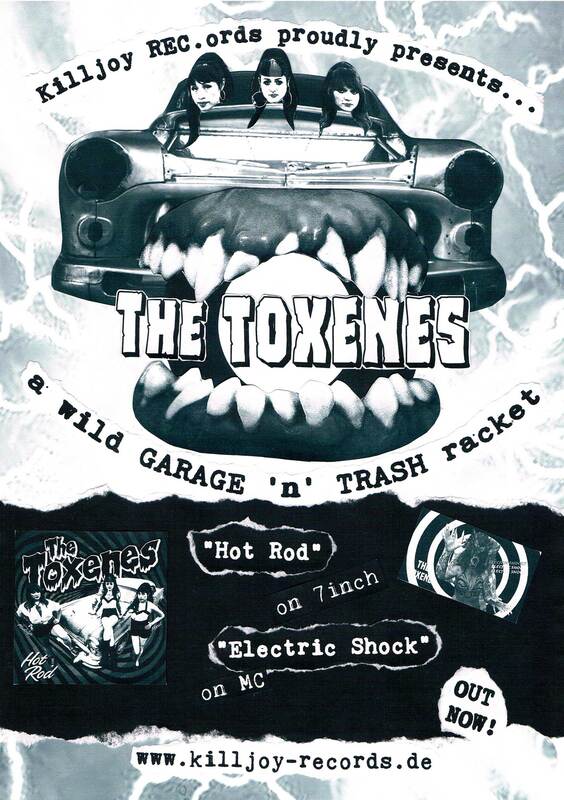 The Toxenes – Hot Rod 7inch! First of all we wish you all a slightly belated Happy New Year! 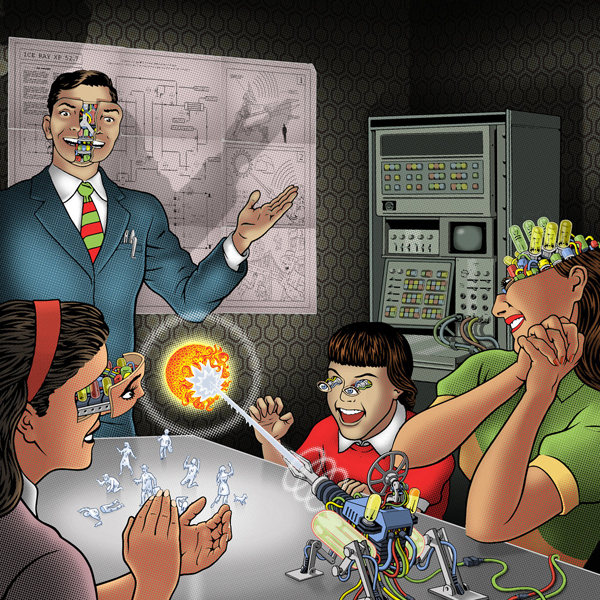 It invites you to a rousing trip to rockin' garageland! 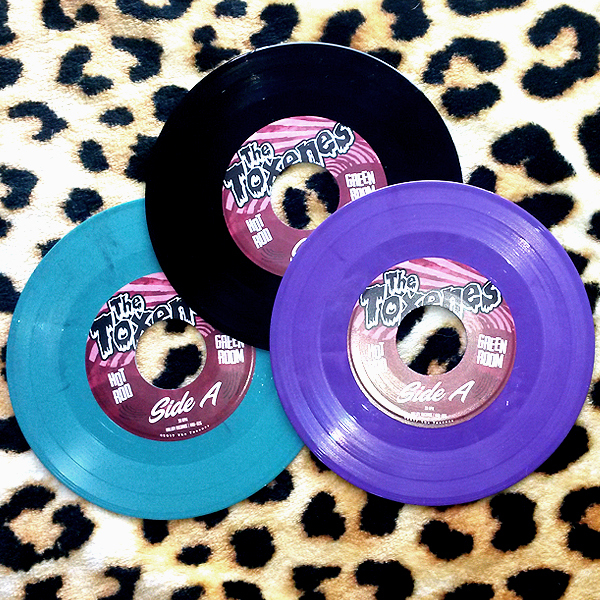 The songs were pressed on black, purple and turquoise vinyl. 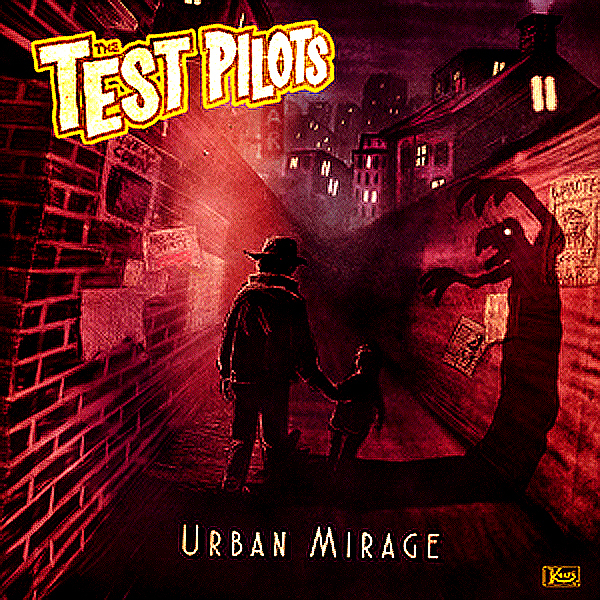 The purple records are limited to 50 copies and are only available from the band. The turquoise records are also limited to 50 copies and only available from us. The second releas in this year will be an MC: Quatro – Forbidden Room. 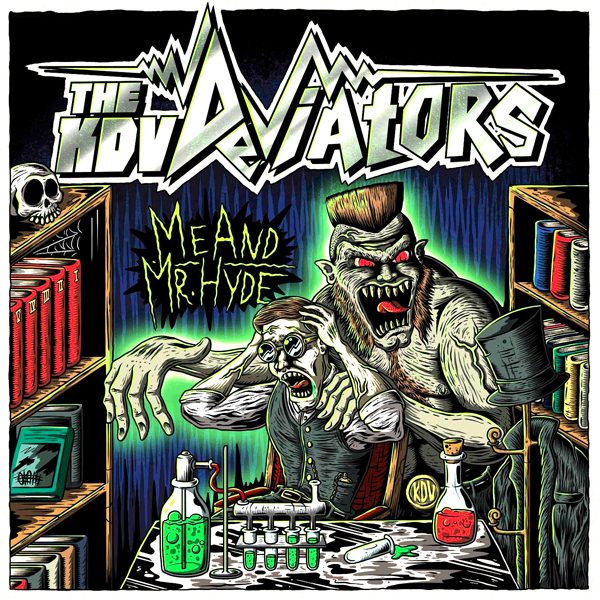 Be prepared for some raw Psychobilly stuff from Mexico! The record is already in the pressing plant.